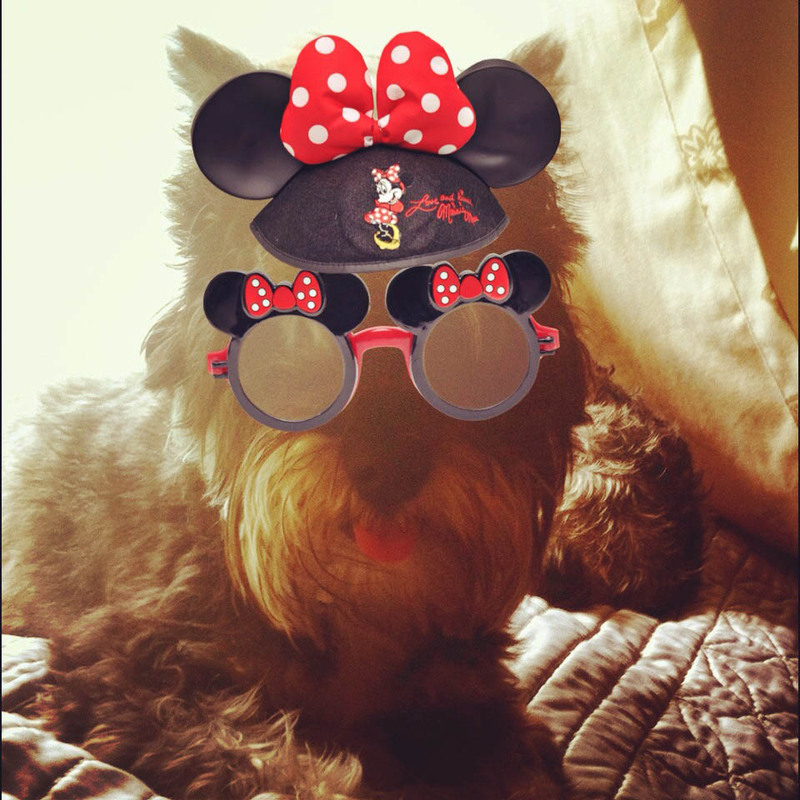 Our dog Margaret getting silly with the Disney Memories App. Do you have Walt Disney World vacation photos that need a little something extra? The Disney Memories App is a FREE photo editor that allows you to bring home the fun of a Disney vacation. Check out the tools that you can use to add Disney magic to your photos! Stickers of characters can be added anywhere on your photos. Fun accessories that include ear hats, gloves, and even Mickey balloons! Frame your photos with park, ride and character themed borders. Share your finished photos with friends and family through Facebook, Twitter, email or text! I have to warn you that this app is really addictive. You may spend hours adding accessories and borders like I have this morning. Download your app today on the iTunes site for Apple devices, or Google Play for other mobile devices. This entry was posted in Disney Pics, Uncategorized, Walt Disney World and tagged App, Disney, Disney Memories App, Disney Photo App, Disney Photos, Google Play, Graphics, iTunes, Photo App, PhotoPass, Walt Disney Company, Walt Disney Parks & Resorts, Walt Disney World Photos. Bookmark the permalink.